The new head of Germany’s BND foreign intelligence service, Gerhard Schindler, 59, tells SPIEGEL he wants the agency to become more willing to take risks. He also says al-Qaida is becoming more influential in northern Africa and that the killing of Osama bin Laden hasn’t significantly weakened it. SPIEGEL: Do you read poetry? SPIEGEL: Nobel Prize laureate Günter Grass has just published one in which he claims that Germany, by supplying submarines, is providing the platform for a possible devastating Israeli strike against Iran. Schindler: I regard that as absurd! SPIEGEL: When does the BND expect an attack on the Iranian nuclear installations? Schindler: Given the senstive political situation I definitely won’t be commenting on that in SPIEGEL. 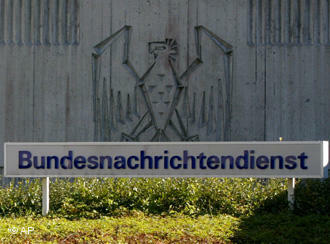 SPIEGEL: You became head of the BND at the start of the year. What do you want to change? Schindler: I don’t want to change the attitude of the staff. In my whole career I have never met so many highly motivated colleagues as here. But I’ve also never seen so much bureaucracy. Sometimes it takes months to get an operation going, that can’t remain like that. The service must become more willing to take risks. Schindler: There must be no hesitation in the world’s crisis regions. We must be the first to go in and the last to leave. SPIEGEL: Was your predecessor Ernst Uhrlau more reticent? Schindler: I can’t and don’t want to judge my predecessor. And I want to leave my own mark on the BND. I believe for example that we can expand the work with agents and sources. Despite all the possibilities provided by modern surveillance technologies such as in the Internet or via satellites: It’s not enough to rely on that. It can’t replace conventional intelligence work. SPIEGEL: What are your people reporting back from the Hindu Kush, where al-Qaida has come under massive pressure recently. Is the terror organization still seen as capable of mounting operations? Schindler: Of course the situation for al-Qaida in the Afghan-Pakistan border region has become difficult. “Go to Somalia,” a commander of the terror organization called out to Islamists in the West, because it has become too dangerous in the Pakistani camps. This is down to the military successes of the Western forces. But that doesn’t mean the danger is over. SPIEGEL: A year ago a US special forces unit killed Osama bin Laden. What impact did that have on al-Qaida? Schindler: That was definitely a blow to the structure of the core group. But we don’t have the impression that the terrorism network or its structures have become significantly weaker. SPIEGEL: The Egyptian Ayman al-Zawahiri has officially claimed to be the successor to bin Laden. Is the doctor now the uncontested Number One? Schindler: According to what we know, yes. Zawahiri had very much influence within the network even while Bin Laden was alive. Its structure hasn’t changed since then: with the core al-Qaida at the top and many branches for example in Iraq, in Yemen or in the Maghreb. They remain closely connected with each other. SPIEGEL: So the fragmentation of al-Qaida is not a weakness but a strength? Schindler: This network is highly flexible. Where the pressure becomes too great, al-Qaida withdraws. Where conditions are more favorable, it expands its activities. The terrorist threat has definitely increased in North Africa in recent months. In Nigeria the terrorist group Boko Haram has joined al-Qaida. In Somalia it’s the Shabab militia. SPIEGEL: So the Islamist terrorist scene has moved? Schindler: There are indeed signs of a relocation towards Somalia and into Yemen. We are also observing that al-Qaida is reorientating itself in North Africa. I think there are good conditions for a terrorist oreganization there: We have high unemployment in these countries, in some areas the population isn’t being provided with basic services and there aren’t proper security structures based on the rule of law . SPIEGEL: What consequences does that have for German Islamists who want to join the armed struggle? Schindler: Waziristan in the border area of Pakistan and Afghanistan used to be the most important destination for German converts. Now Somalia is turning into a new hotspot. SPIEGEL: Is Mali in West Africa turning into a new crisis region following the uprising there? Schindler: Mali is almost four times bigger than Germany with a heterogenous population. It is indeed worrying that northern Mali is now threatening to split from the rest of the country. North Mali could become a further base for al-Qaida. Several rebel groups are already operating there, including one that is Islamist in orientation and is gaining in influence and significance. SPIEGEL: What does that mean for people in Germany? Al-Qaida seems very preoccupied with itself at the moment. Has the terrorist threat receded? Schindler: No. The target of the terror organization hasn’t changed. Al-Qaida is also planning attacks in Germany. Esse post foi publicado em Inteligência e marcado Alemanha, BND, intelig~encia externa, servicos secretos por Joanisval. Guardar link permanente.